The Marineff project’s goal is to enhance and protect coastal and transitional water ecosystems in cross-border Channel regions. Today, marine infrastructures (such as dikes, quays, piers, groynes, and moorings) do not incorporate the enhancement of coastal and transitional water ecosystems. 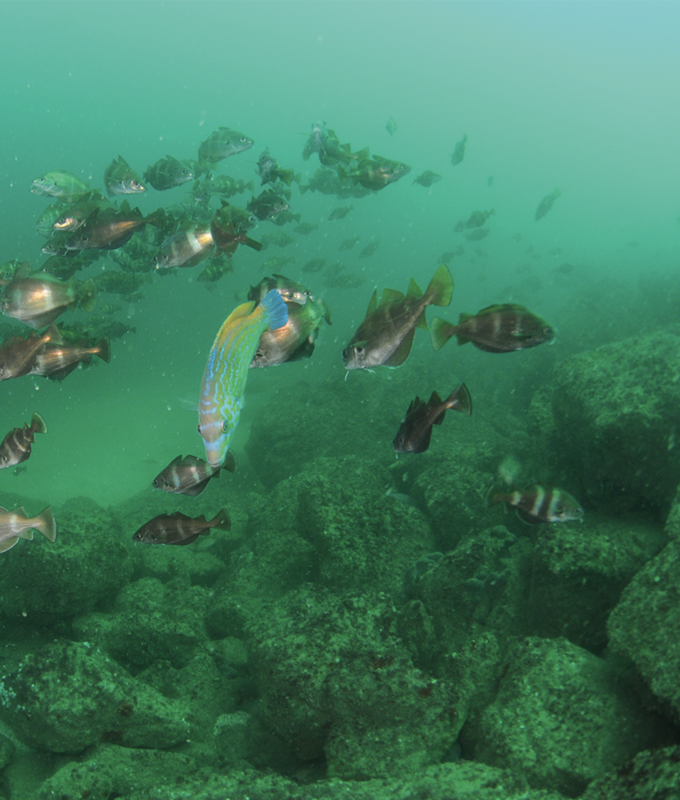 The project aims to realise new biomimetic marine infrastructures to improve the ecological status of coastal and transitional Channel waters, as well as to involve professionals and stakeholders in the project. Improvements in the ecological status of water will be measured by an improvement of at least 15% to the initial state (before the deployment of the biomimetic infrastructure). 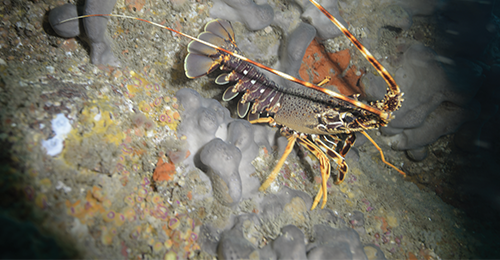 The Marineff project was selected under the European cross-border cooperation Programme INTERREG VA France (Channel) – England co-funded by the ERDF and involves 9 French and British partners. The biomimetic marine infrastructures will be deployed in two large-scale pilots operations and six experimental sites to test various types of marine infrastructures and ensure their transferability across the France Channel England area. The Marineff project, co-financed by the Programm Interreg VA France (Channel) England program, involves 9 French and British partners Here you can learn more about them. Here you can learn more about them. 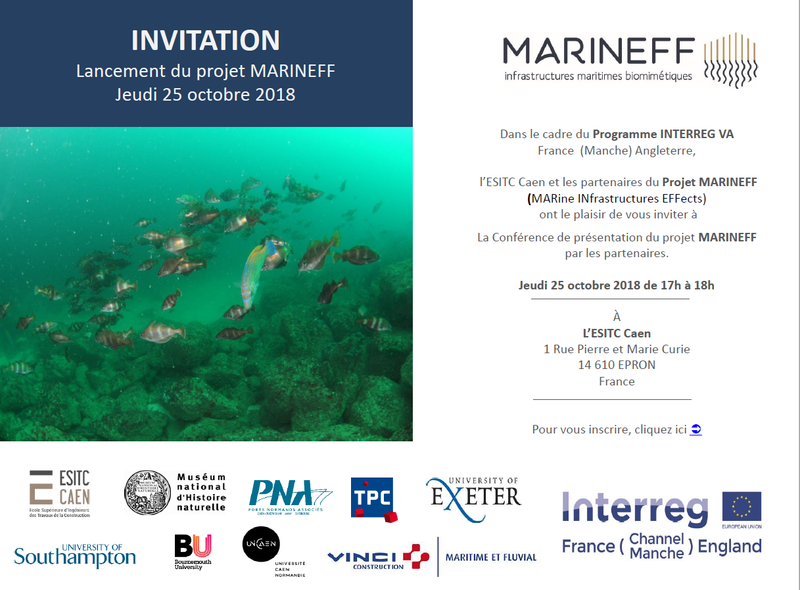 The launching of the Marineff project will take place 25th October from 5 to 6 pm at ESITC Caen You will find soon the link to the video of the presentation. You will find soon the link to the video of the presentation.